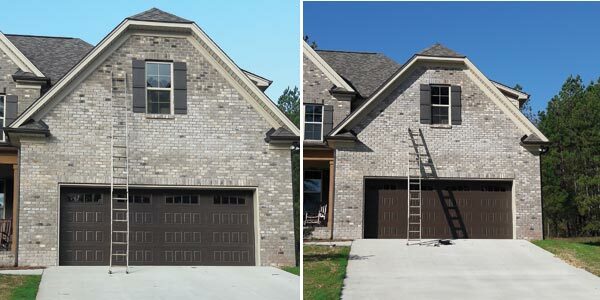 These images show progress made by Stain Gang in staining darker bricks above the garage to match the brick below. The color consistency of a brick building or wall is sometimes achieved by masonry staining. Stain Gang performs staining of brick, mortar joints, precast concrete repair and restoration, and pressure washing. This small company out of Ararat, N.C., uses a water-based stain and often matches the color right on the job. Dark mortar joints can make a wall look solid. Stain Gang matched the mortar below and stained the dark joints, then stained a few block to break up some of the darker block that was grouped together. 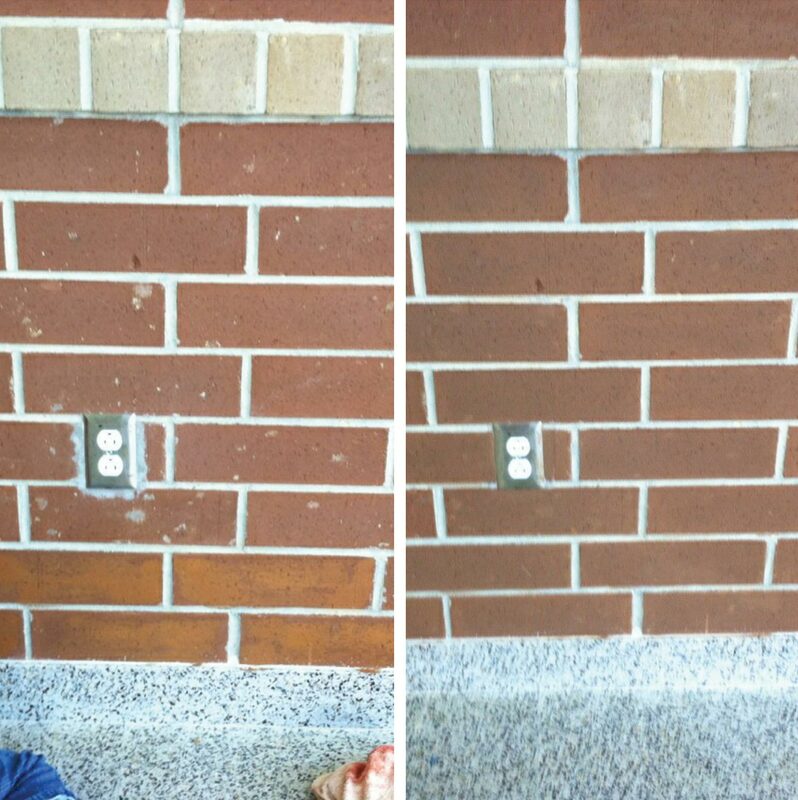 Gray mortar around an electrical unit was stained for a more polished look. Hoover says she has several people to thank, including Gates Construction Co. Inc. (particularly Brandon Hartsell) and Huntley Brothers Co. Inc., for the opportunity to work for them and for her success so far. “I think the best part of working is the people you meet. I’ve met some wonderful people,” says Hoover. For more information, visit Stain Gang on Facebook. Amerimix, a manufacturer of preblended mortar, grout and stucco products, has launched a comprehensive re-branding initiative—including new messaging and a new logo that will be incorporated throughout all communication elements. 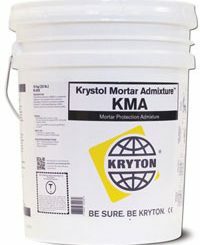 KMA is a hydrophilic crystalline admixture used to provide long-term protection of masonry mortars and concrete masonry units against water and waterborne contaminants by reducing permeability and absorption of the mortar. 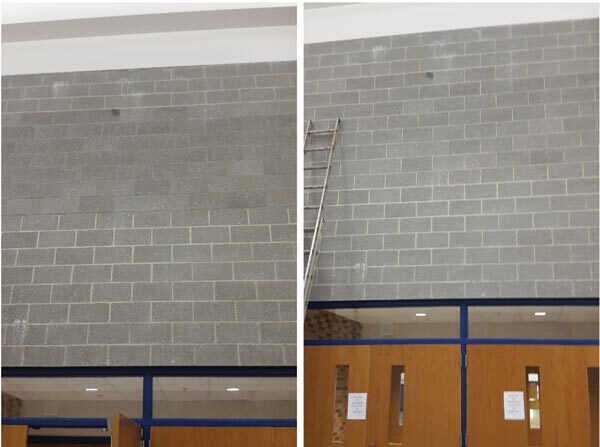 Simplifying installation by removing the need for surface-applied sealers and easily incorporated into the existing mix-design and application processes, KMA provides superior waterproofing performance that lowers building maintenance and repair costs.